If there are any typos in this blog post, blame my maple syrup related injury. Sunday morning, I tried to clean a few drips from the syrup jug, and ended up with a puncture wound. Those crystallized bits are razor sharp, so don't put your delicate typing fingers anywhere near them. Maybe it's just a Canadian hazard! Bravely carrying on, I was updating some files, and keeping track of the updates in Excel. On a sheet named All_Files, I have a list of all the files, and the number of downloads for each file. On the Files_Updated sheet, I have a list of files that have been updated. When looking at the full list of files, I'd like a quick way to identify the files that have been updated. The actual list is pretty long, and my faulty memory only works for the first few updates. After that, I can't really remember which ones have been done. 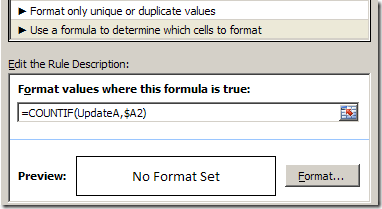 I could add a new column, with a COUNTIF formula to count the number of times each file appears in the Update list. 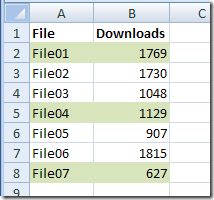 Instead, I'll use conditional formatting to colour the rows for files that have been updated. 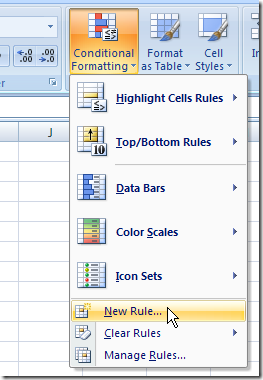 Just like data validation, conditional formatting complains if you try to refer to cells on another worksheet. So, I'll name the range on the Files_Updated sheet, and refer to the named range. For some reason, Excel is okay with references to named ranges on another sheet. Click in the Name box, and type a one word name for the range – UpdateA in this example. Press the Enter key, to complete the naming. 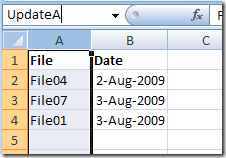 Next, add the conditional formatting to the list of all files. 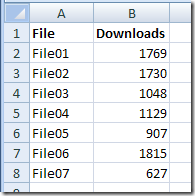 On the All_Files sheet, select the cells that contain the file names and download quantities. Click Conditional Formatting, then click New Rule. Click the Format button, and select the formatting you want for the highlighting. The rows for the files that have been updated are now highlighted. You can quickly see which files are done, and concentrate on the files that still need to be updated. To see the steps in action, you can watch the following short video. Thanks, JP! I wish we could export more of that snow. Let me know if you need any this winter. For each condition, go to Format, and on the Font tab, select the colour that you want. Thanks for the help Debra. I have a very large spreadsheet that has about 50 columns and over 200 records that I have to maintain. This information has the potential to change on a daily basis. I however am not the one who is actually changing or updating this official document. Each week I have to download a new copy and document any changes from the previous week. Is there any way that I can use conditional formating to highlight information that was updated on the newly downloaded sheet, using the previous weeks version as a reference? FYI I am using Excel 2007. If I cant use excel is there any other 07 Programs that I can use? hey guys can any one tell me, If do change any thing in excel sheet the same thing should change on another excel file for example: we entered employees details in one excel sheet that details should enter in another excel file without entering data manually.